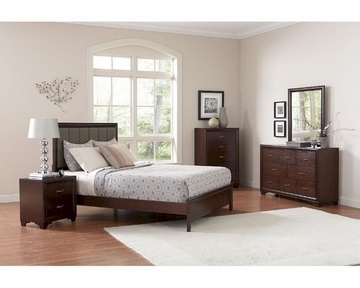 The cool, contemporary Simone Collection will give your master bedroom a modern update with a refined look and feel. Read and watch TV in bed comfortably with this cushioned headboard in grey. The case pieces also feature an embossed effect giving them a luxurious look. Finished in a light cappuccino. Mattress sold separately.